Beli Flinthammer leaned in the doorway, looking out over Loch Modan. The smell of cooking feasts carried across the valley from Thelsamar, the Explorers League camps across what remained of the lake and probably even from hunters’ campfires. Everywhere but here. Bael and Lucky ran through the mud, playing Polymorph Tag — players who get tagged had to act like a sheep for one minute, which admittedly the great black cat had problems doing as well as the boy. Her son refused to open the gifts Greatfather Winter had left beneath the tree or touch the stockings or let her begin cooking the Feast of Winters Veil: His father was coming home, he insisted, and they would would be waiting for him. Beli sighed, scanning the horizon. There was a screech and she spotted the ungainly figure of a Northrend proto-drake lifting off from a distant pasture, a sheep in each of its hind claws. With Ringo gone, Rusty had gone a little wild, and what remained of the Flinthammers’ fortune, accumulated from the dungeons of four continents, was quickly flowing into the coffers of local shepherds instead. 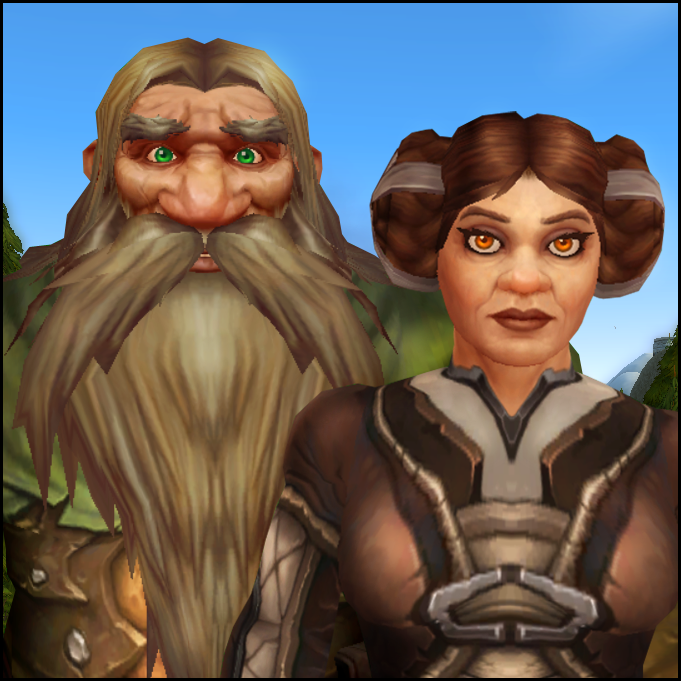 Her family had invited her and Bael to visit them in Stormwind for the holidays — they had been hard at work repairing the damage Deathwing did to the Valley of Heroes — but Bael would have none of it. She’d explained how far away Orgrimmar was, and that the Alliance mages were busy moving the wounded soldiers to safety and didn’t have time to help soldiers get home for the holidays. Beli’s stomach was starting to growl and the boar wouldn’t stay good forever; she was going to have to start cooking soon and just deal with Bael. “I’ll march home for the feast. A new gun ‘neath the tree. Where the oak keg gleams. A figure loomed up before her, dropping his pack and rifle by the door, a white bear coated in the reddish dust flopping down to roll happily in the cool mud of Khaz Modan. Bael leapt onto his father, burying his head in Ringo’s beard. Beli’s mouth hung open in shock a moment before Bael and Ringo dragged her roughly into a group hug, squeezing her tight. “Merry Feast of Winters Veil,” Ringo rumbled. Beli, unable to speak, just nodded enthusiastically into his shoulder.